Chloe McKinney, Halo Rife, Phoebe Rife and Olivia Rife are pictured with Mulberry Country Kitchen volunteers. Shopping carts were filled with items to be donated to the Mulberry Kitchen. Pictured are Kylee Robinson, Chloe McKinney, Phoebe Rife, Happy Rife, Shalynn Mitchell, and Olivia Rife. Chloe McKinney and Halo Rife wash dishes at Mulberry Country Kitchen. A car wash was one of the fundraisers organized. Pictured, from left to right, are Zach Bartrum, Ty Bartrum, Phoebe Rife, Chloe McKinney, Halo Rife, Olivia Rife. POMEROY — Returning to school for the beginning of the year, students are often asked how they spent their summer. 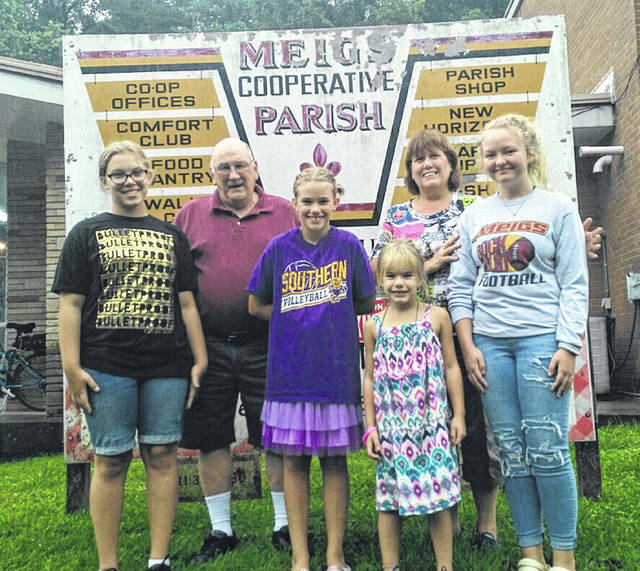 For Chloe McKinney, who recently started her freshman year at Meigs High School, the answer to how she spent her summer is different than the typical response of most 14 year olds. Chloe choose to pursue volunteering and fundraising efforts for the Mulberry Country Kitchen during her summer break, raising over $1,000 for the non-profit group. Stephanie gave Chloe several suggestions, including the Mulberry Country Kitchen where both she and Halo volunteer. The Kitchen is known for good food and as a place where everyone from all walks of life is welcome. Groups like Meigs Industries and Carleton School use the facility weekly, seniors find good home cooked meals convenient, and others just stop in for the socializing. Those who can bring three cans of food or three dollars for their meal, others whatever they can. Some are provided with a meal at no charge, and no one is stigmatized for their inability to pay. After understanding the importance and challenges of providing meals for the community with limited resources, Chloe decided to turn her attention to fundraisers for the Kitchen and organized a bake sale and a car wash within a week. Using her organizational and leadership skills, she contacted local churches to donate baked goods. 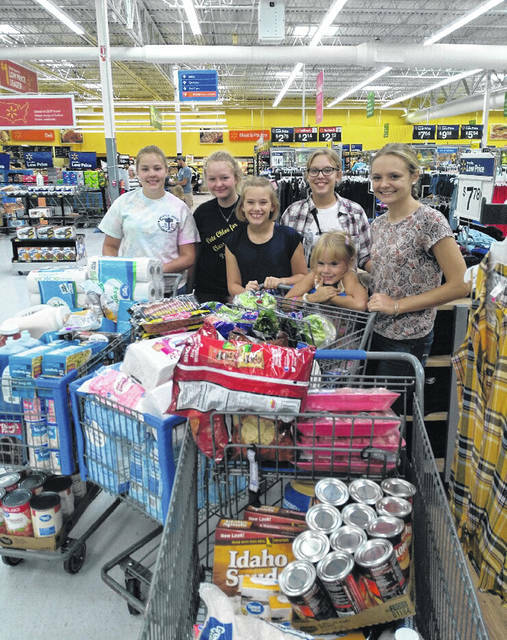 She reached out to the youth group she is involved with and invited key members to join her efforts, and Foodfair in Pomeroy agreed to host the sale on Aug. 6. There was an outpouring of donations from the community, and over $600 was made from the sale. Many donated money and did not take the baked goods, leaving a lot of leftovers, which Chloe and her group took to the inmates at the Meigs County Jail. “God really shows up,” Chloe said during the bake sale. She said she connects with the story of King David and how he trusted God’s timing in his life. Next was the car wash; Chloe contacted Advance Auto Parts in Mason, West Virginia, for donations of cleaning products. They quickly offered to sponsored the car wash on their premises as well. On Aug. 11 the group washed 15 cars for a total of $265 in donations. Chloe’s mother Lilly McKinney is the propriety of Abracadabra Hair Salon in Rutland, and supported her daughter by asking for donations and offering a free tanning session with a contribution of four or more cans of food. After totaling profits from the bake sale, car wash, and donations, Chloe presented Mulberry Country Kitchen with $1,080. https://www.mydailysentinel.com/wp-content/uploads/sites/14/2018/08/web1_8.31-1-Mulberry-Community-Center.jpgChloe McKinney, Halo Rife, Phoebe Rife and Olivia Rife are pictured with Mulberry Country Kitchen volunteers. https://www.mydailysentinel.com/wp-content/uploads/sites/14/2018/08/web1_8.31-2-Donations.jpgShopping carts were filled with items to be donated to the Mulberry Kitchen. Pictured are Kylee Robinson, Chloe McKinney, Phoebe Rife, Happy Rife, Shalynn Mitchell, and Olivia Rife. 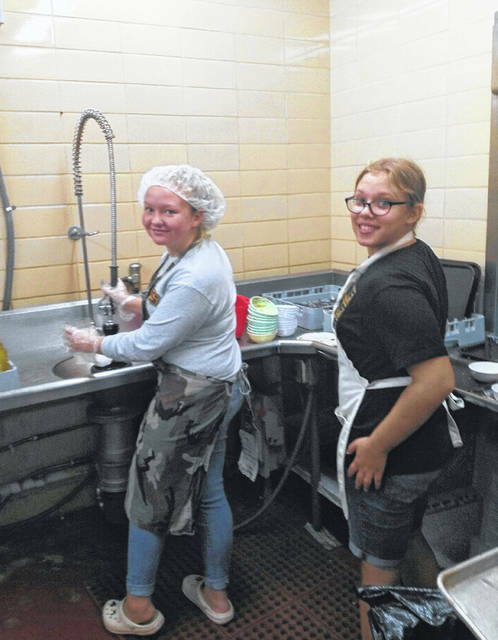 https://www.mydailysentinel.com/wp-content/uploads/sites/14/2018/08/web1_8.31-3-Chloe-McKinney-and-Halo-Rife.jpgChloe McKinney and Halo Rife wash dishes at Mulberry Country Kitchen. 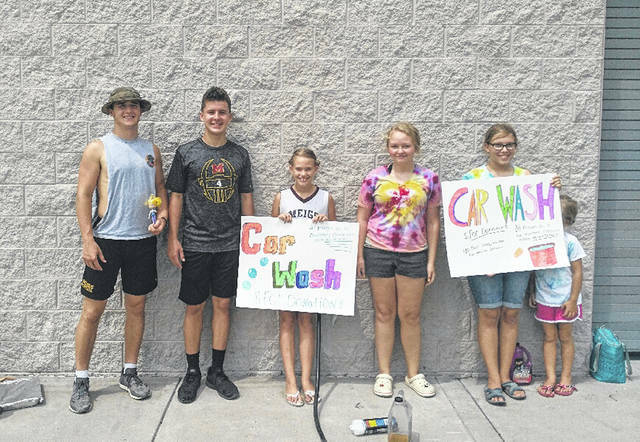 https://www.mydailysentinel.com/wp-content/uploads/sites/14/2018/08/web1_8.31-4-Car-Wash.jpgA car wash was one of the fundraisers organized. Pictured, from left to right, are Zach Bartrum, Ty Bartrum, Phoebe Rife, Chloe McKinney, Halo Rife, Olivia Rife.